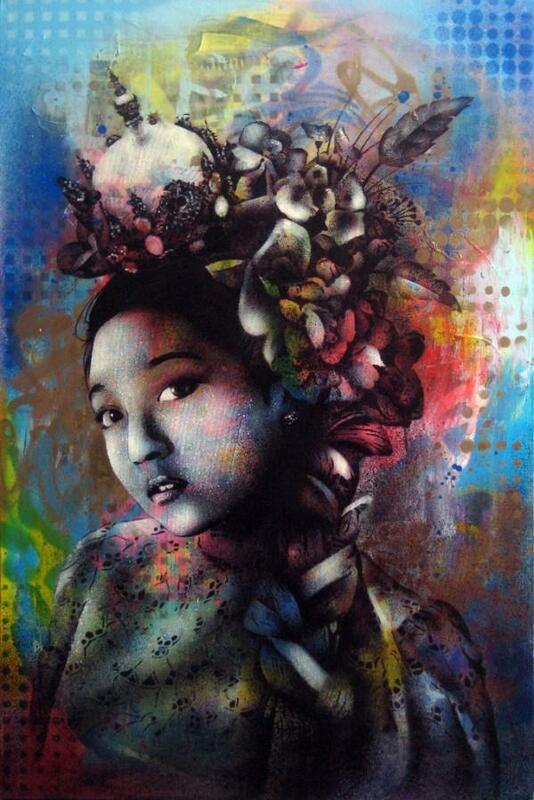 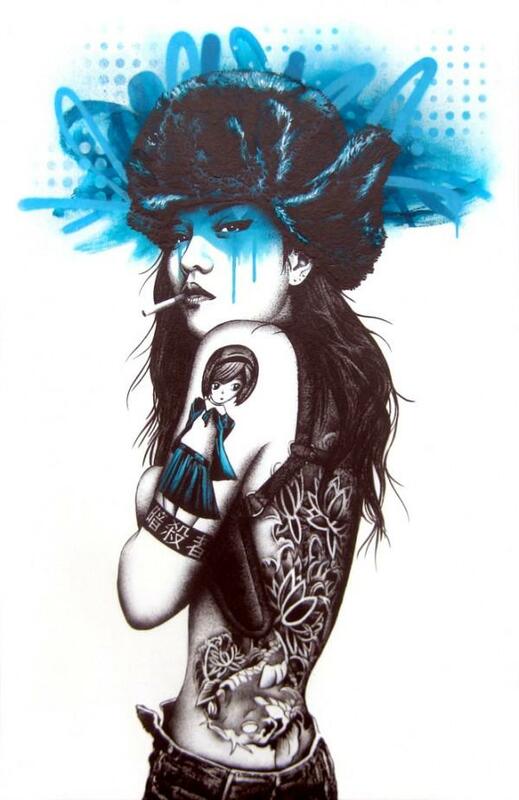 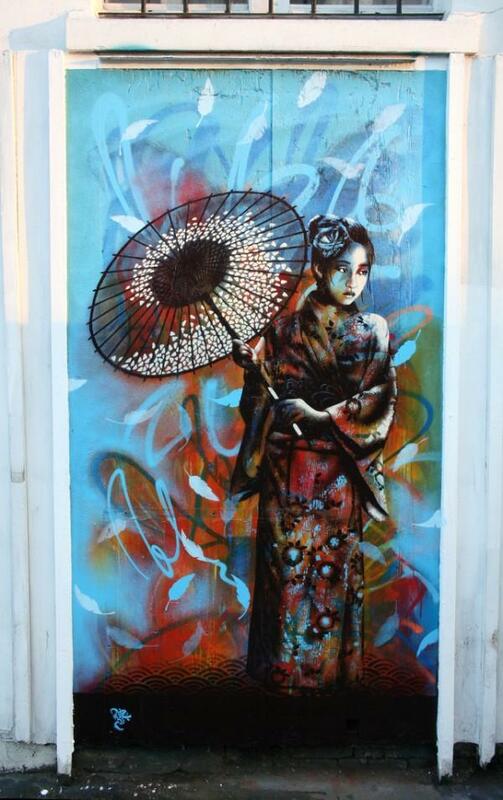 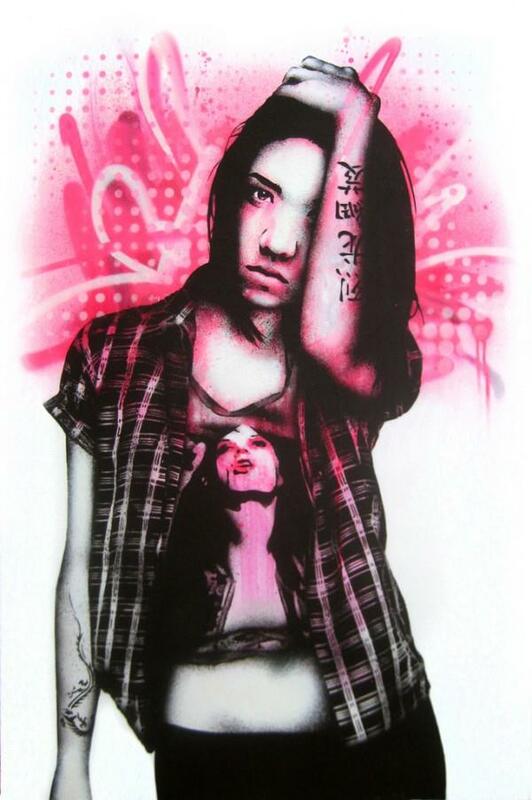 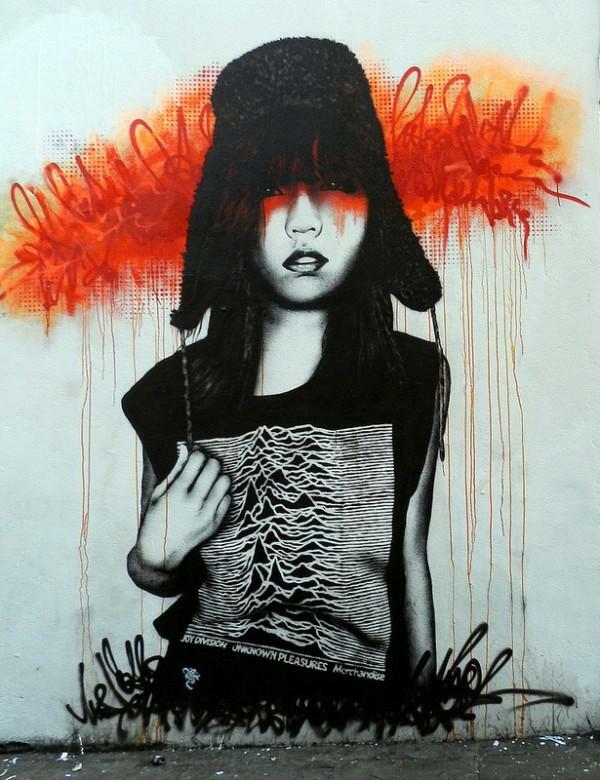 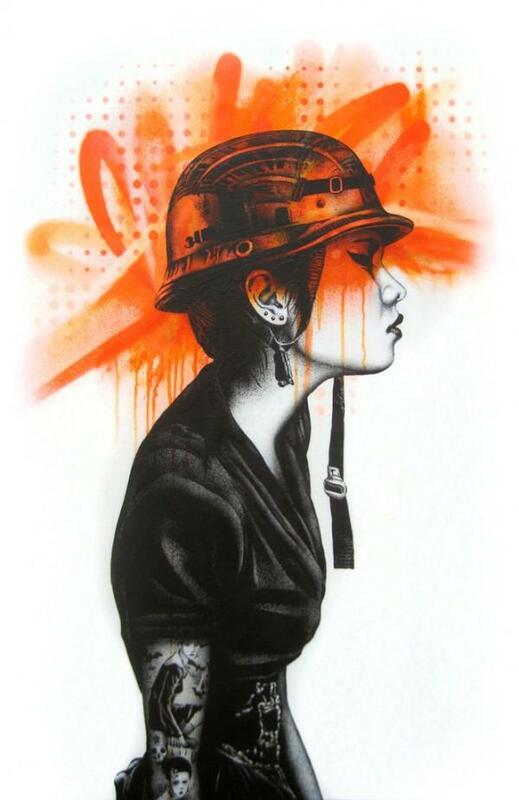 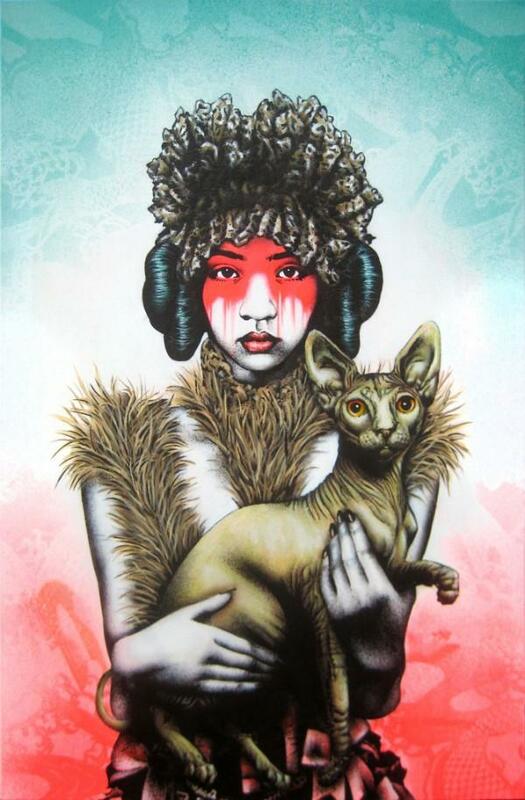 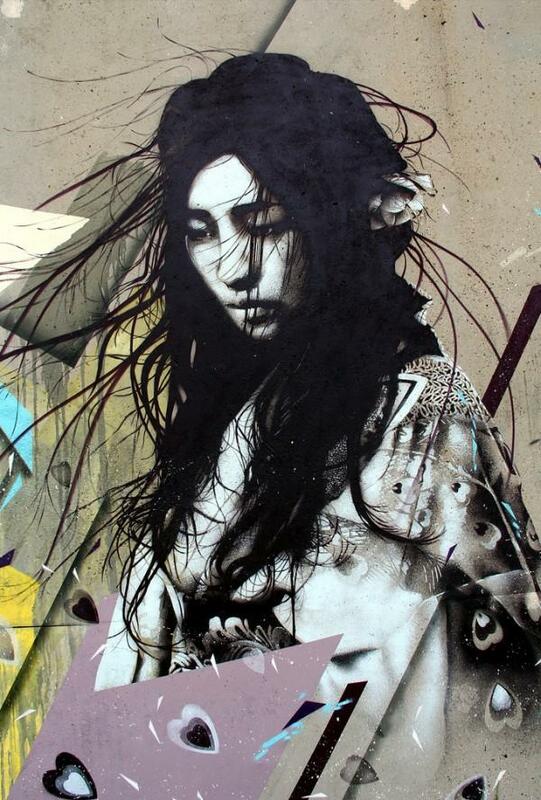 Urban Art by Fin DAC. 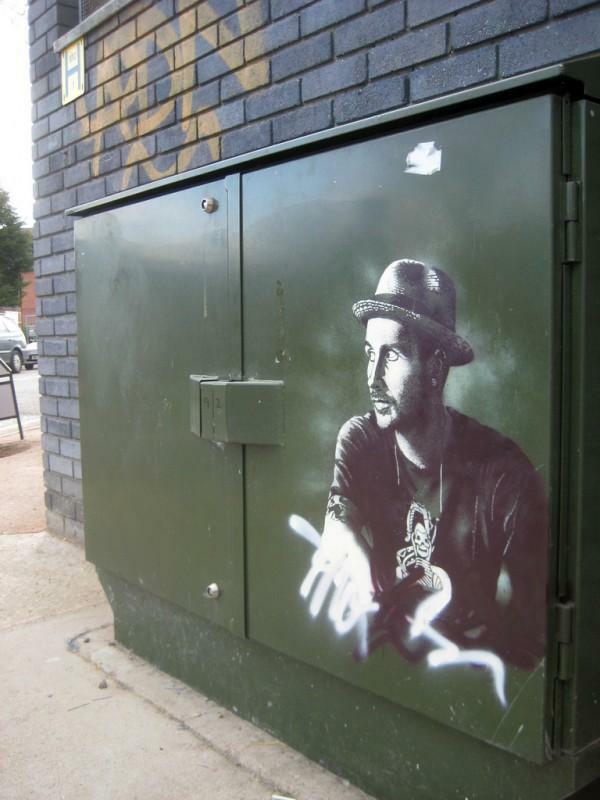 Fin is an urban artist living in London, UK. 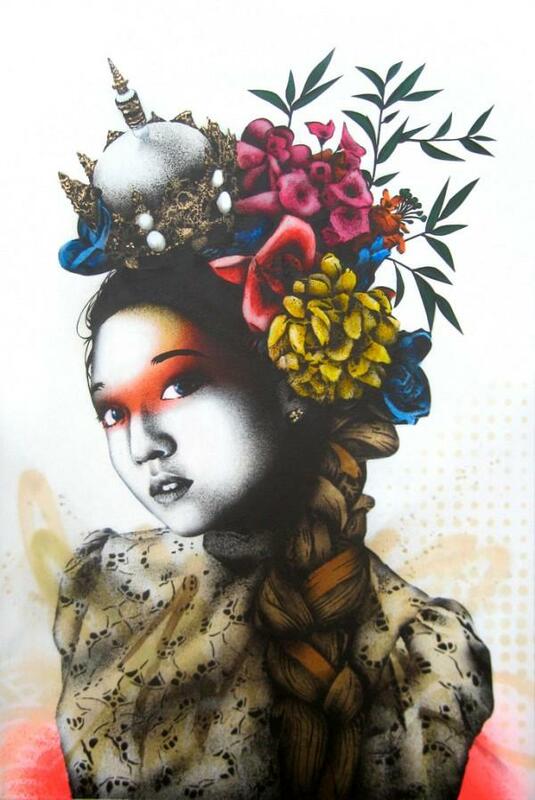 Fin DAC has defined and perfected an atypical paint/stencil style that ignores the accepted visual language of street art. 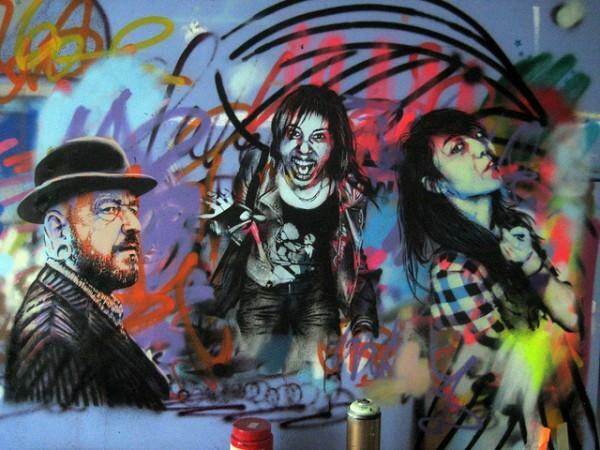 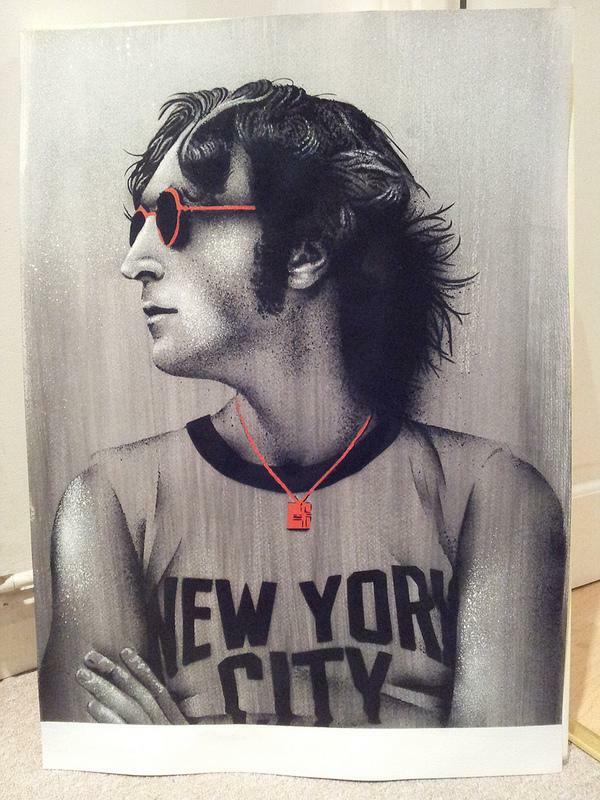 He painted/exhibited alongside respected artists such as Goldie, Nick Walker, Jamie Reid. 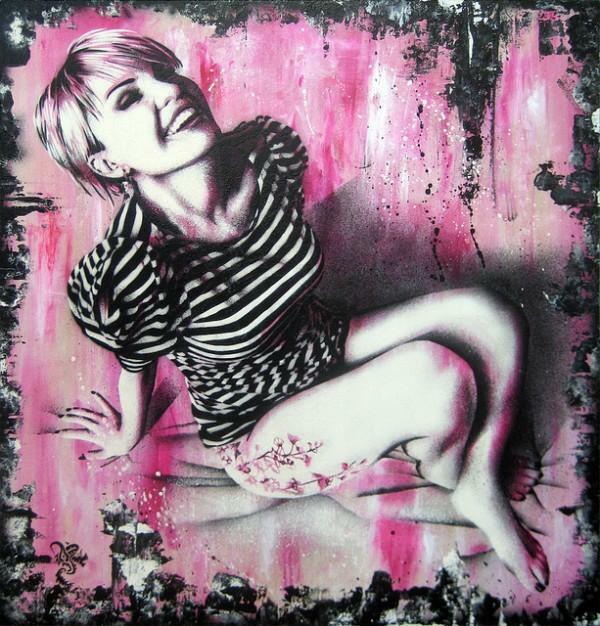 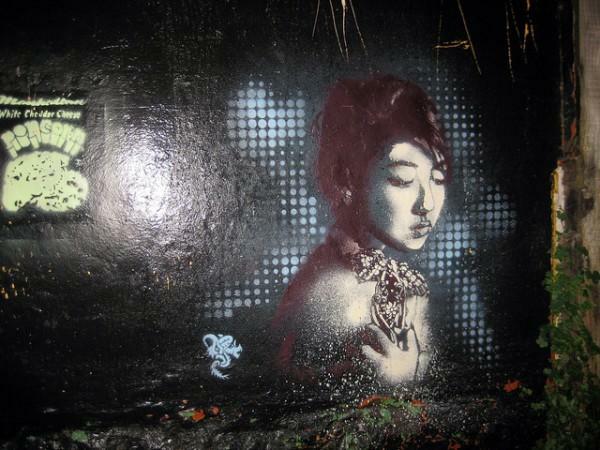 Jef Aerosol and C215. 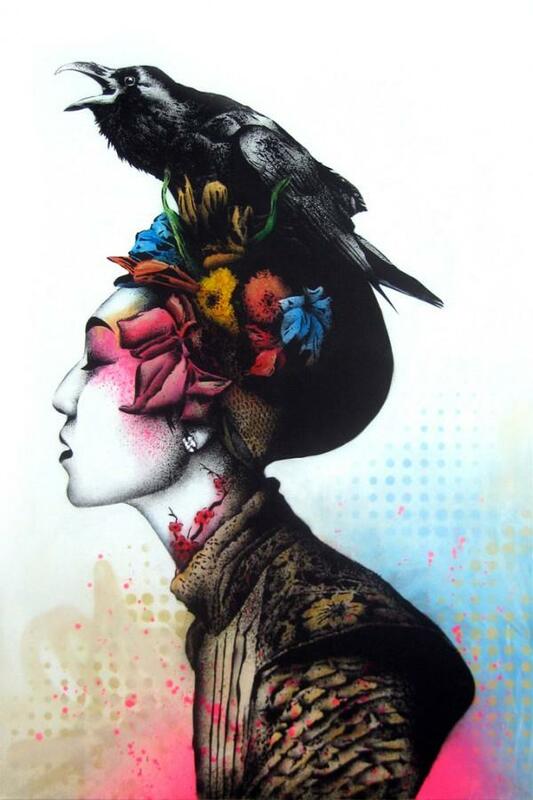 He’s also Artistic Director at urban/digital art brand Beautiful Crime.